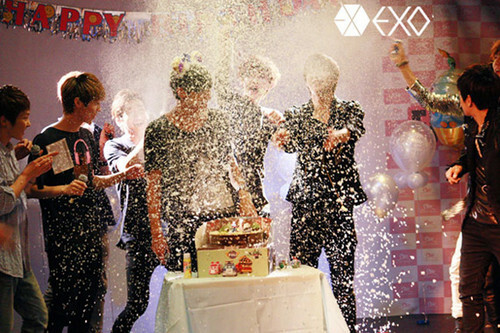 Tao's birthday and EXO-M <3. . Wallpaper and background images in the Tao club tagged: awesome cool birthday tao exo-m lay kris chen xiu min lu han. This Tao photo contains 噴水.